The Mallo Cup in an incredible marshmallow-filled chocolate candy that brings joy to children and adults alike. There's nothing quite like Mallo Cup candy, which is manufactured by the small Boyer Candy company only in Altoona, Pennsylvania. Since Mallo Cups aren't manufactured by one of those big chocolate companies, you often won't find it at your big brand, industrial-size megastore. Rather, the best place to get your Mallo Cup fix is at small groceries, gas stations, or conveninence stores right in your neighborhood -- if they're not already sold out. Best of all, the Mallo Cup has long come with a "play money" that you can collect and redeem for cash, gift tins of Mallo Cups, T-shirts or other great Mallo Cup items. Thus, Mallo Cups are fun, delicious and amazing. Try one today. You can also write Boyer via postal mail to receive a current redemption form. If you're more interested in collecting Mallo Cup play money points rather than redeeming them, learn more about the history of Boyer's play money in the December, 1999 issue of Fun Money, the newsletter of the former American Play Money Society. Let your friends know that you have quirky tastes by becoming a fan of Mallo Cups on Facebook. 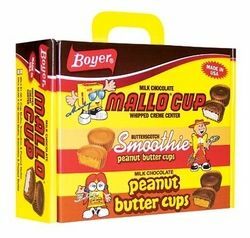 There are a number of groups, but we recommend Mallo Cups: Journey to 500 points since it has lots of fans, including some members of the family that currently owns Boyer Candies. Boyer also has an official Facebook page where you can join in the discussion. Follow Boyer Candy on Twitter @BoyerCandy at www.twitter.com/boyercandy or view the latest Boyer tweets below. You can also share your love of mallow-filled chocolate cups by bookmarking or e-mailing this information lens about Mallo Cups using the "Share" features in the right hand column. There's also a link there to post this page to your own Facebook page. The love of Mallo Cups was made for sharing (but the sharing of your actual Mallo Cups is a personal decision...although they do come in sets of two!). Yes! Order a Whole Box of Mallo Cups Today - Order through Amazon for convenience and reliable delivery. Order a whole box of Mallo Cups just like the display boxes in the store -- except that they're all for you and there's no cash register clerk who doesn't appreciate your quirky candy selections. This box of 24 wll provide enough for you to give away to friends and family, if you're that kind of generous personality. A short, historical video showing the making of Boyer Candies, including the cult classic Mallo Cup. NOTE: We're not responsible if you're hungry after watching this video. So let's say you're driving across Interstate 80 to grandma's house, or tooling down I-99 and running ahead of schedule. Or perhaps you're looking for a day jaunt with the fam from Pittsburgh, Harrisburg or Baltimore. You're looking for a fun and memorable to spend your time. You could stop in Altoona and see the original Boyer Candy factory and visit the factory outlet store. It's the only Boyer outlet store in the world and you can find all formats of their delicious candies. The store is not huge but the people are friendly and the prices are good. It's also been reported that you can buy tubs of Mallo Cup filling. The address is 821 17th Street in Altoona. Brothers Bill and Bob Boyer began selling homemade candy to generate extra income in the years following the Great Depression. Bill was in charge of making the candy, their mother Emily provided the kitchen and wrapped the product, while Bob sold door-to-door in the neighborhood. The Boyer Brothers originally tried to develop a chocolate covered marshmallow, but were unable to get the marshmallow to stiffen. They solved the problem through using cupcake papers, setting the chocolate base, adding a marshmallow creame, then coating the result with another layer of chocolate. Thus the Mallo Cup was born. Their efforts were successful enough to incorporate in 1946. Twenty some years later the company was sold to their corn syrup vendor, American Maize Products, then another 15 years later to Consolidated Brands, owned by Anthony Forgione. The company went through difficulties which disrupted production after Forgione's death in 2001 due to a protracted legal battle over ownership and control. The company is currently run by Anthony Forgione II. In earlier years, Boyer producee Easter and Halloween candy,as well as a marshmallow and peanut butter mixture coated in chocolate called the Fluffernutter, not to be confused with the sandwich of the same name. Today they concentrate on just four types of candies, including the flagship Mallo Cup. Yes, he's square on the outside and round on the inside. Marty Mallo is the name of the candy-shaped character that graces display boxes, T-shirts and a variety of other items produced by Boyer. In the 1970s, Marty looked more like a typical boy, but it appears he ate so many Mallo Cups that he actually became one. If you know more about Marty or the other Boyer characters, please drop us a line using the contact feature or the guestbook at the bottom of the page. Marty's a hero, but we don't know much about him. The Full Line of Boyer's Candies - Mallo Cups are the most famous, but there's some other great treats from Boyer too! Boyer Candy doesn't have a zillion options like Hershey's, Nestle, Cadbury and other big names. Instead they make four candies: the famous Mallo Cup (sometimes mistakenly spelled "mallow cup"), the Smoothie, the Boyer Peanut Butter Cup and the Triple Twist. The Triple Twist, a peanut butter covered pretzel coated in chocolate, is the only candy not readily available online, but you can order them directly through Boyer or purchase them at the Factory Outlet Store. Brothers Bob and Bill Boyer were early entreprenuers in the food industry. So was Homer Price when he invented a doughnut machine -- at least before things went awry. Certain books are ideal to read to your children after enjoying a Mallo Cup together. This is one of them. These Mallo Cup recipes aren't that difficult, but it's hard to draw all those play money coupons by hand. Enhance your desserts with these amazing Mallo Cup variations. What a great idea! Use Mallo Cups to create desserts that dazzle. Here are some links to some recipes using Mallo Cups, but the definitive source is the Mallo Cup-enhanced recipes page on the Boyer Web site. 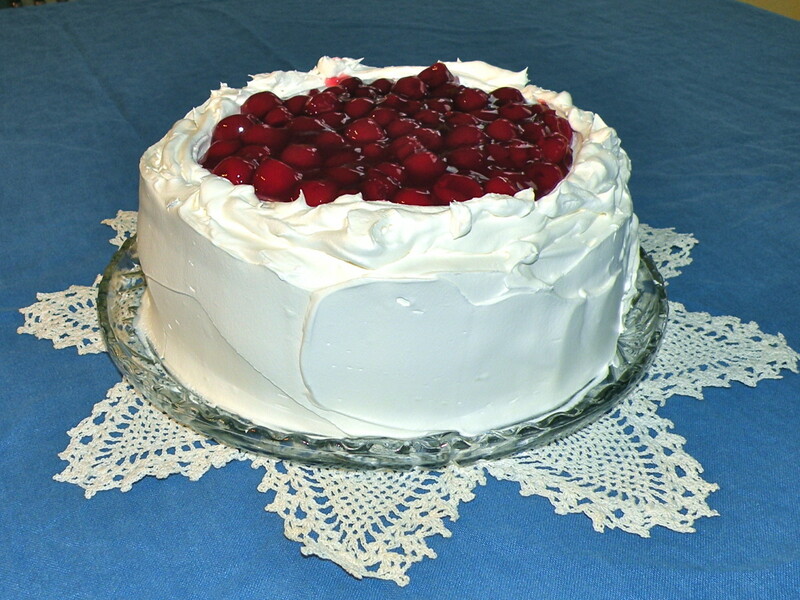 There are even recipie contests so you can enter your concoction for the chance at fame and a great prize. Which is Your Favorite Boyer Candy? Which is Your Favorite Boyer Candy? Make your selection below and see what other people think. Mallo Cup - It's the greatest ! Peanut Butter Cup - Better than Reece's! Smoothie - Who needs chocolate when a candy tastes this good? Triple Twist - Peanut Butter, Chocolate & Pretzel is the best of all worlds! Smoothie Peanut Butter Cups - It you like Mallo Cups, give Smoothies a try. This is Mallo's unique cousion - smooth peanut butter on the inside, but covered with -- surprise -- butterscotch. A great option for non-chocolateholics. A great option for non-chocolateholics. Boyer Milk Chocolate Peanut Butter Cups - Compare to Reeces' and you may have a new favorite. Compare to Reeces' and you may have a new favorite. GIANT Size Mallo Cups - Actually, the candies are the same size, there's just more per package. These are the same Mallo Cups you've come to love, but in a package of four and, unfortunately, without the play money tickets. If you're trying to cut back on your Mallo Cup addiction, this probablly isn't the right size to buy. Fund raising kits are available making it tastey and easy to raise money for your club or troop. These kits include $1 or $2 packages of Boyer candies providing a turn-key way for your band, youth group or club to raise money. Full details are available on the Boyer's fundraisers page, along with helpful tips about how to structure your fundraising goal and efforts. Remember, always ask grandmothers twice. Read a full review of Mallo Cup candy on Candy Blog, including a comparison of Mallo Cups to other similar candies, such as Cup-o-Gold and Valomilk. Let us know what you think about Mallo Cups. You can only buy just so many. PLEASE BRING BACK THE CANDY FOR POINTS !!!!!!!!!!!!!!! 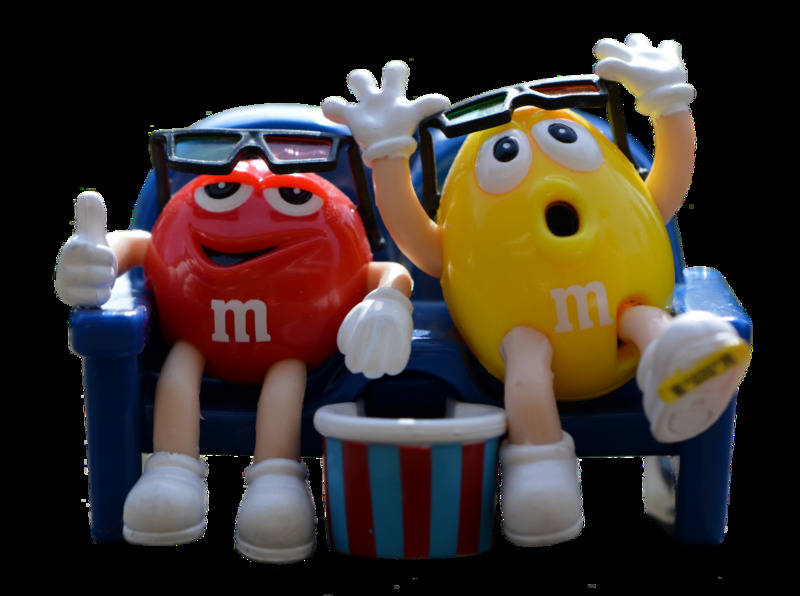 I will be watching for these next time I am in the USA, yum! I had my first Mallo Cup at age 5. I love them, they are simply the best. The music in your presentation is awesome. had my first mallo cup since 55 years ago today. Wow! Talk about a fast track to the past! When I was a young girl, I broke my piggy bank open and used the money to buy Mallow Cups! I just loved collecting the coins and affixing them on scotch tape to send in and receive 10 candy bars. To this day, I still enjoy mallow cups and have a drawer full of the coins. Can anyone tell me the measurements of the "fun bite" sized mallow cup? Is it about equivalent to the size of reeses mini PB cups? Someone told me, that Mallo Cups are only made at certain times of the year...is there any truth to that? Use to send the points in all the time as a child. I loved getting that box of Mallo Cups in the mail. I busted my piggy bank so I could get the $$ out to buy Mallo Cups. I work in a hospital and our gift shop carries them. Lucky me!!!! Great lens! I loved it. Welcome to my Candy group! Congrats! Mallow Cups rock....I remember as a child, saving the 500 points and sending them in for a whole box of Mallow Cups. I live in Wisconsin, but I just called Boyer in PA. and I ordered a 5# box of mallo Cups (Seconds) as well as a 5# box of Smooths, same thing (Factory Seconds). You really get your Moneys Worth buying the box like this!! They ship it to you with Ice to keep them cold. They are $12.95 a box Plus Shipping!! 5 Pounds!!!!! YUMMY!!!!!!! Oh my Tummy Hurts......but WHO CARES!!!! Call them and Order!!! I absolutely LOVE Mallow Cups! I have a funny story...I just found an 8 pack of mini Mallow Cups at the dollar store...really fresh too! Well I was driving along and decided I wanted a few, I couldn't open them. They are so tightly glued or something...I kept thinking, someone must be watching from above saying you DON'T NEED THEM!! Needless to say I managed to get into 4...yummy! I wish the Mallow Cups could be sold in all stores! Thanks, happy eating! Luann Silvestri from RI! This is a great lens! I've never actually had a Mallo Cup, but I hope I do, they look really good! I would like to thank you for sharing your lens with me and congratulate you for becoming part on my Candy group! Keep up the good work with this lens... and all of your others ones. 5* for you. Great lens! Haven't had a mallo cup in a few years, just might have to make a trip to my local mini mart and get one. I remember these well when I was a kid. I didn't really like them though--always wanted the peanut butter cup instead. Great lens. Welcome to the Comfort Food Group.